2:58 left in the half. 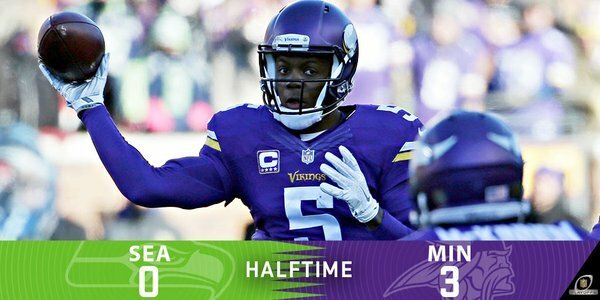 Vikings lead 3-0. 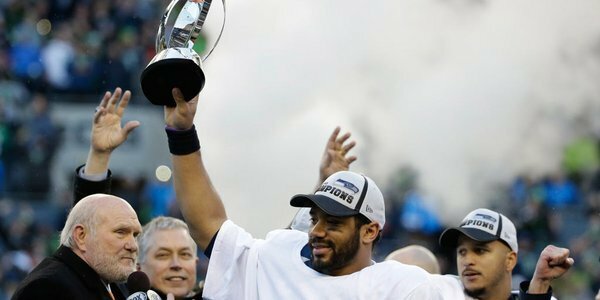 Seahawks takeover at our 14. It's still cold. ???? This is one really good & fast Seattle defense. Wow. Seattle faces third-and-5 from their 19 coming out of the two-minute warning. PI and we don't mean Magnum. 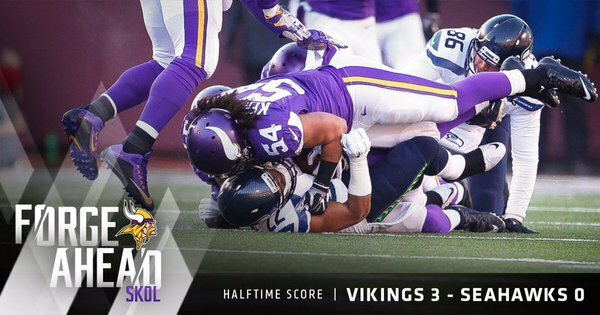 41 yards and Seahawks ball on the MIN19.
.@EricKendricks54 breaks up the pass and it's third-and-8 from the MIN 38.
.@HarriSmith22 breaks up the 3rd down pass and Seattle punts. 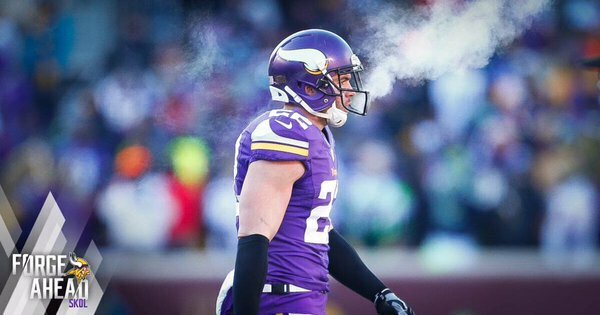 why is sendejo still starting? Great breakup from Kendricks leads to 3-8, and Wilson's pass into the wind falls incomplete. #Vikings ball at own 9. 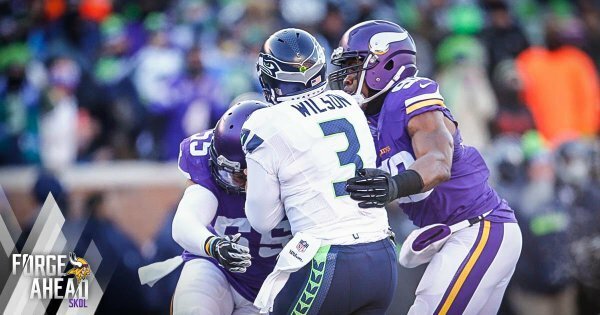 Seahawks playing scared witless. Satisfied to leave w/ 3-0 deficit & ball to start 2nd half. #Vikings will kneel into halftime. Hold 3-0 lead over Seahawks. Offenses frozen. < 100 total yds for both teams heading into the half. 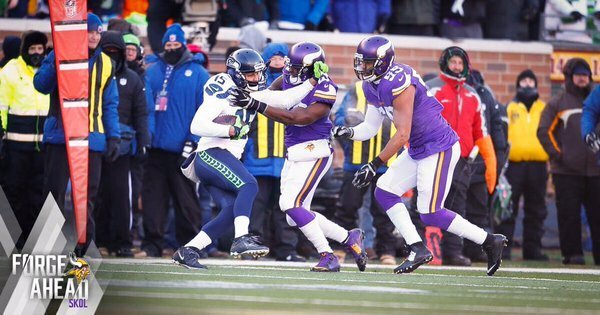 Seahawks start 2nd half with ball. ???? 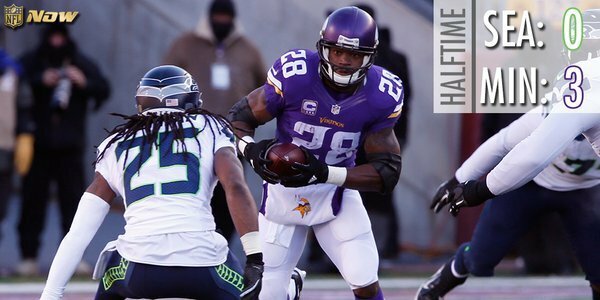 Halftime in #SEAvsMIN ! ???? It's so cold ... hookers near the stadium are charging $25 to blow on your hands. It's been a big first half for the #Vikings defense. On-field exam for Jeremy Maclin appeared to show an ACL tear. Thus, the tears. MRI showed it was intact. There's actually a chance he plays. Interesting #49ers note: I'm told Hue Jackson made a push for the #Raiders to draft Colin Kaepernick in 2011. "Hue was a big Colin guy." The last the @Seahawks were shut out in the 1st half? The last time the @Seahawks were shut out in the 1st half? 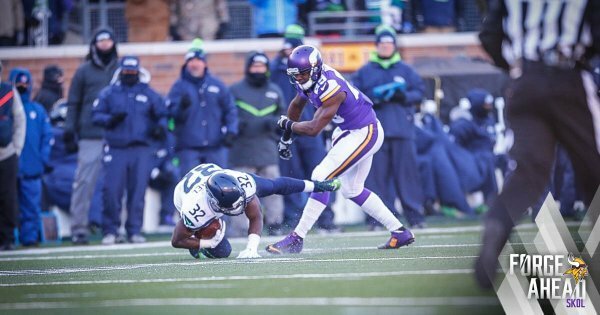 Seattle starts at their 20 after the touchback from @BlairWalsh3 . NBC reporting headset issues for Seahawks in first half. Zimmer channeling Belichick?